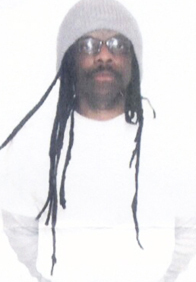 Abdul Olugbala Shakur (s/n James Harvey) has been condemned to solitary confinement for over 30 years. In the aftermath of the latest hunger strike, which he participated in for the entire 60 days, his heart has been skipping a beat 15-25 times a day, both day and night. He fears it may have been permanently damaged, but he can’t be sure because the medical staff at Pelican Bay refuses to run the tests that would confirm or allay his fears. “On Oct. 6, 2013, Sunday morning, somebody attempted to poison me. The breakfast tray that was tampered with was the religious diet tray, and only myself and Brotha Sitawa receive the Halal diet in this pod. “When I was eating my scrambled eggs, I noticed a foul taste. I immediately spit the food out. I then noticed a black substance on my mouth and spoon and mixed in the eggs. So I dumped the food out in the toilet. At the bottom of the tray, somebody had put a blob of wet black ink. “Nobody is denying this happened. They tried to offer me a bunch of food to drop the issue, and the administration is trying to keep it local. “Sgt. Bristow told a regular floor staff person to come talk to me today and try to convince me to drop it. I told him no. Somebody tried to poison me, and everybody is trying to quash this issue instead of trying to find out who did it. They want me to forget about it. “I filed a 602 and multiple complaint forms and I made sure to stipulate any staff that attempts to sabotage or intercept my mail or appeal relating to this issue I will identify them as a conspirator in this conspiracy. Somebody tried to poison me, and everybody is trying to quash this issue instead of trying to find out who did it. Just don’t let them get away with it if by chance something does happen to me. Abdul says he was reluctant to make this public, “but many believe it is important that I convey this information to you, especially since these folks (prison officials) have been trying to downplay it, so it becomes imperative for us to propagate it. “After 59 days without eating, there’s a 99 percent chance I have caused permanent damage to my heart. At least three times a week I exercised in the first 40 days of our hunger strike and, as a direct result, my heart became stressed. It started to skip a beat; initially this would occur at least twice a day, but now, off and on throughout the day and night. On Oct. 3, he wrote a little more: “Dr. Donald Venes told me the technical medical term is ventricular contractions or premature beats. Without any further observation, he declared my condition benign. “All he did was listen to my heart. He doesn’t know if I have permanent damage. In July this same doctor told me cardiac arrest was and is possible, but now it’s no longer a threat. This is only an attempt to avoid spending money for a MRI. “During the last days of the hunger strike, my blood pressure was 175/107. You don’t have to be a doctor to know this isn’t good. I am not receiving anything or even medical attention. At least 15 to 25 times a day my heart is skipping a beat, and it doesn’t feel good at all. “It keeps me laid out, but I am not stressing. I can’t afford to panic. I have accepted the reality of my situation: My heart is permanently damaged. “These folks obviously intend to neglect me as long as they can get away with it, and death is a possibility. My sista, I am a realist. I know my situation. But whatever happens, I will continue to live each day giving back and being productive. These folks obviously intend to neglect me as long as they can get away with it, and death is a possibility. I am not afraid to die. But I am going to do whatever I have to do to make these folks give me adequate medical attention. Abdul is widely respected by other prisoners. He played a major role in exposing the scandalous “gladiator fights” that guards at Corcoran State Prison staged and bet on for their pleasure and profit, forcing prisoners to fight each other, sometimes to the death, leading Esquire magazine to call Corcoran “the deadliest prison in all of America.” Seven prisoners were killed by guards shooting at the “gladiators” from their tower “to break up the fight” and more than 50 wounded, including Ron Dewberry, now known as Sitawa Nantambu Jamaa, Abdul’s comrade and neighbor today in the Pelican Bay SHU. Abdul is also a legendary jailhouse lawyer, having won many suits against the prison system. It was he who convinced us to fight Pelican Bay’s censorship of the Bay View, a case now taken on by Bryan Cave, one of the world’s largest law firms. He doesn’t suggest how we can help, but calls to the Pelican Bay warden’s office couldn’t hurt. The new warden is Ron Barnes, the number is (707) 465-1000 and the address is Warden Ron Barnes, Pelican Bay State Prison, P.O. Box 7000, Crescent City CA 95531-7000. Abdul would appreciate words of advice and encouragement. Write to Abdul Olugbala Shakur, s/n J. Harvey, C-48884, PBSP SHU D1-119, P.O. Box 7500, Crescent City CA 95532-7000. The Jericho Movement to win recognition and freedom for U.S. political prisoners advises writing to the warden and sending a copy of your letter to Abdul. I guarantee you that Prisoners in solitary confinement suffering from 'hallucinations' are actually being tormented or have been tormented with mind invasive technology by the U.S government. Some cases to death. I read this one (at Ana of The Book Smugglers' urging) and I totally agree, it sneaks up on you and is just a really delightful book. I am really looking forward to continuing with the series now and I'm not a mystery person at all.